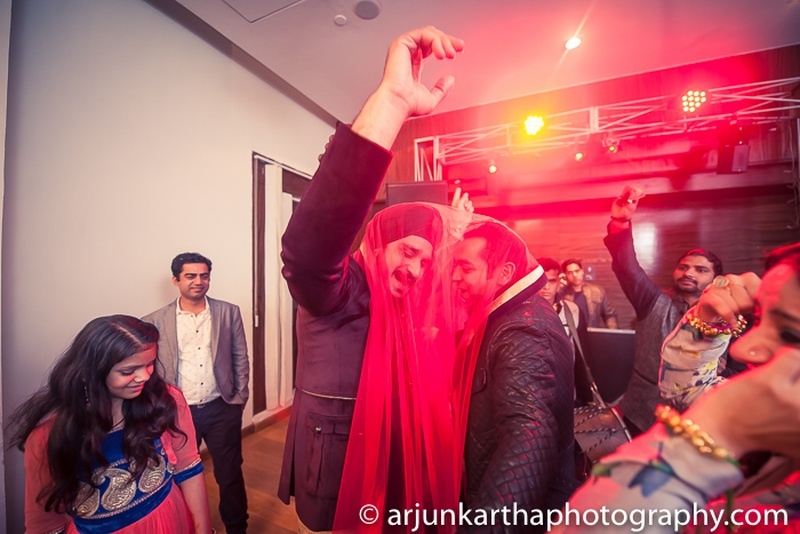 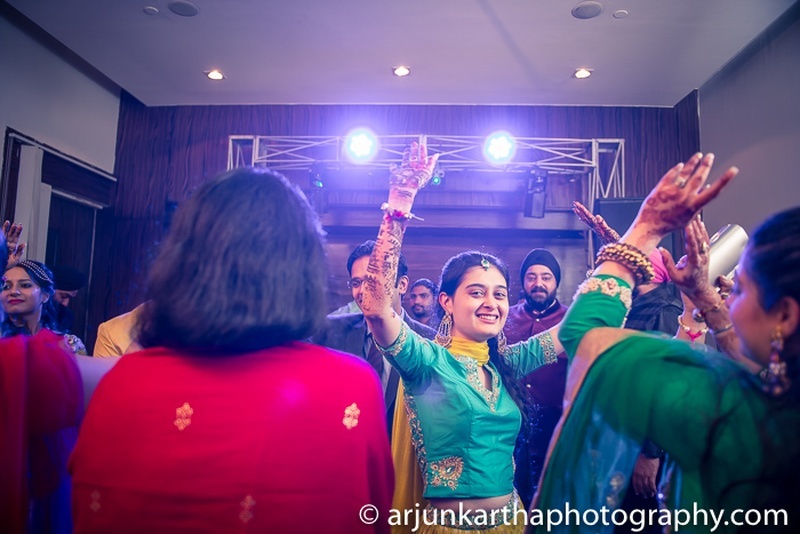 The world knows Punjabi weddings are synonymous with fun, laughter and bucket-loads of Bollywood styled dancing! 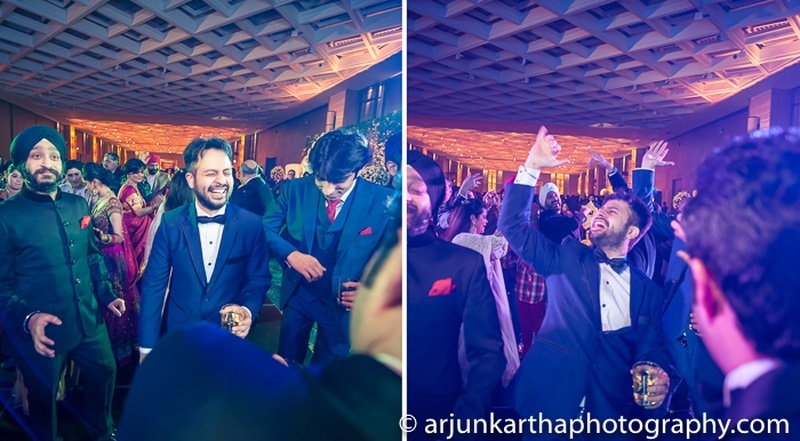 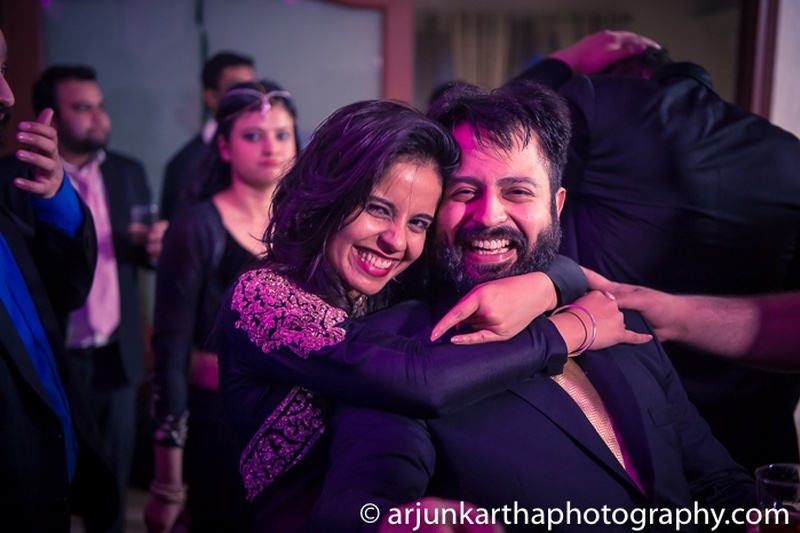 With close family and friends savoring the butter-chicken and naan, and sippin’ on some Jack Daniels – Gulveen and Angad’s wedding was one BIG power-packed celebration! 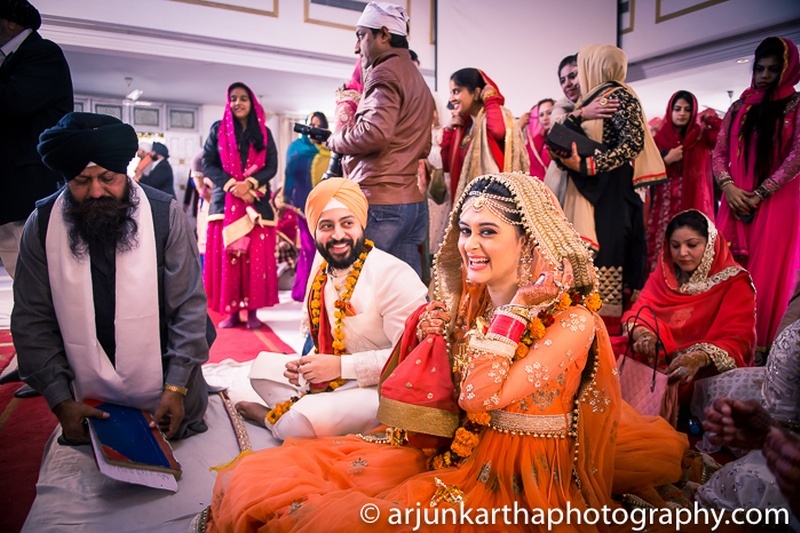 Gulveen and Angad have been friends since they learned how to count to five. 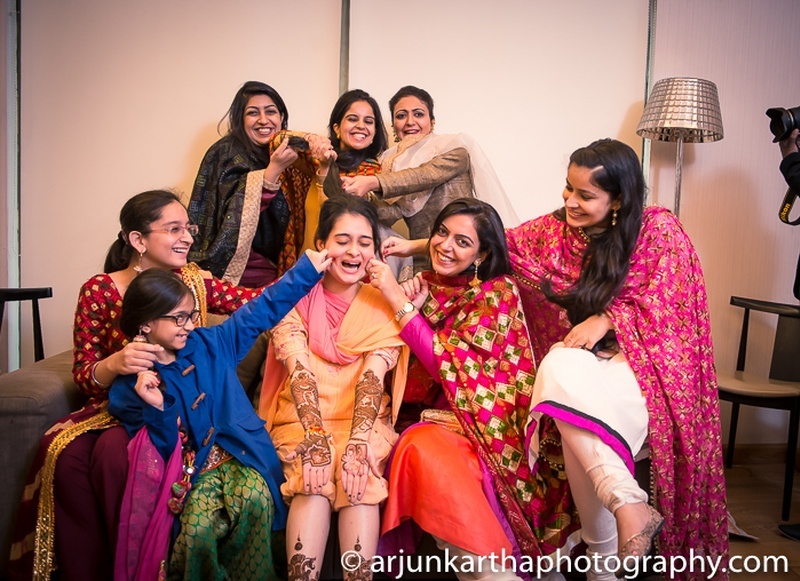 Now, who would’ve ever imagined that an innocent childhood friendship would develop into something so deep and mature? 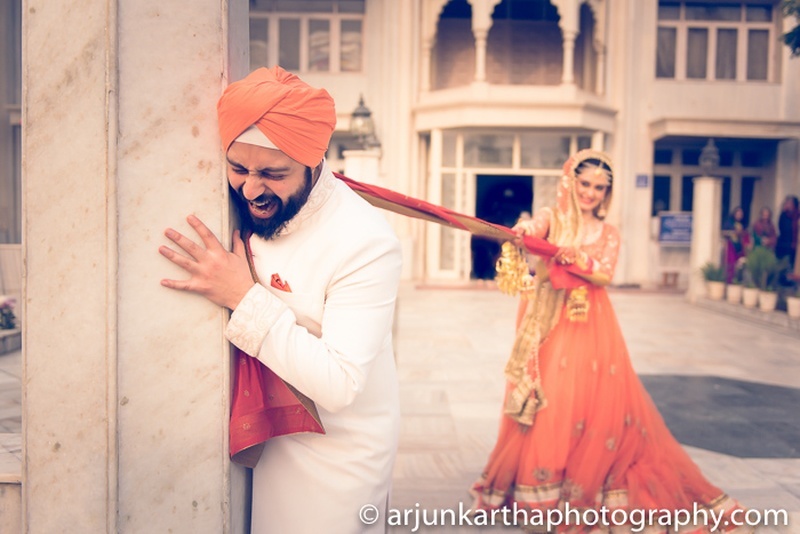 Isn’t it amazing how even in reality we can see little bouts of filmy pyaar through this gorgeous couples story “We loved being a part of their beautiful wedding – they are officially one of the most happy-looking couples we have ever shot, always on the verge of a smile or a laugh and we lapped up every second of it! 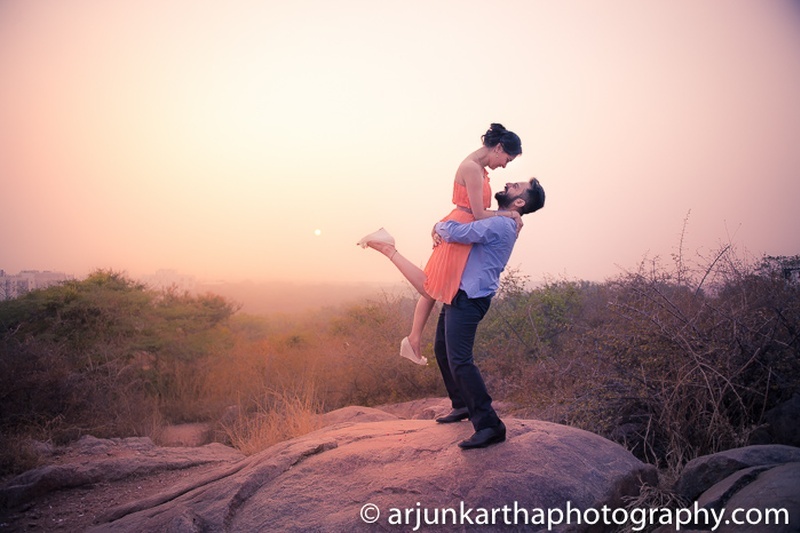 Shying away from the sentimental and romantic side of a couple shoot, they preferred something more whimsical. 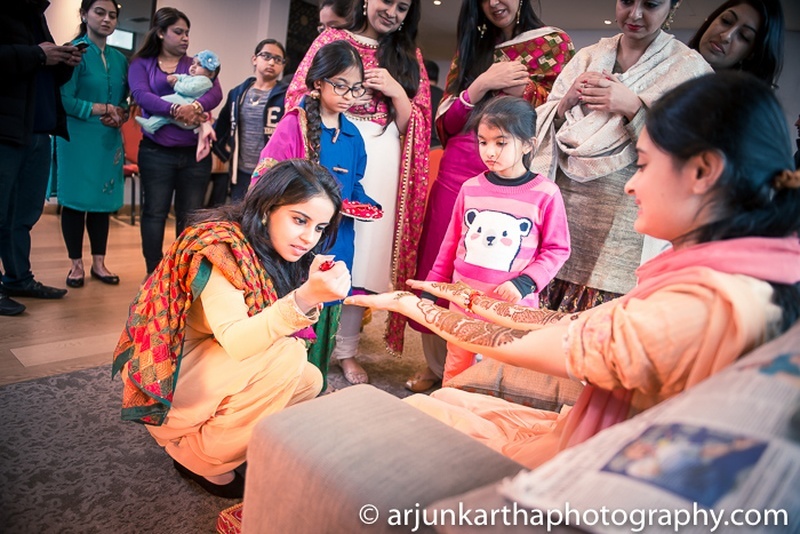 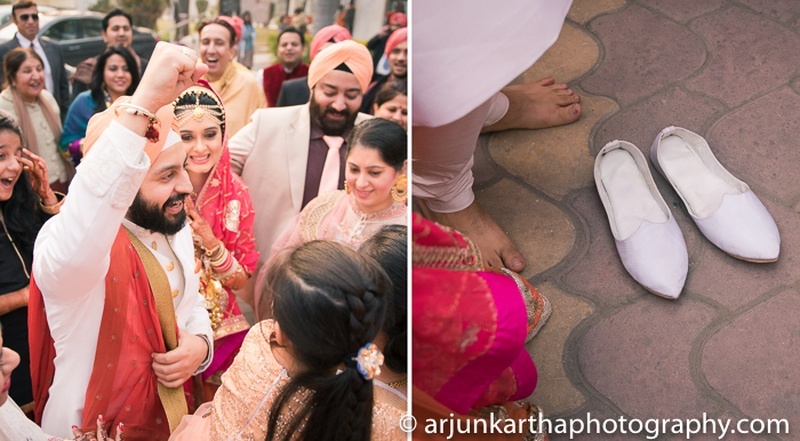 So that’s what we gave them!” Says ace photographer Arjun Kartha. 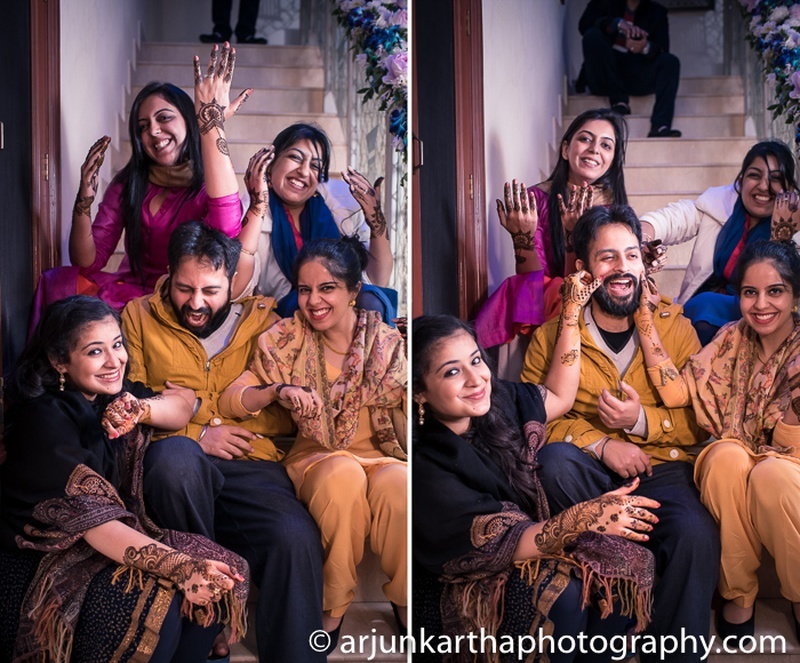 And whimsical is what they got! 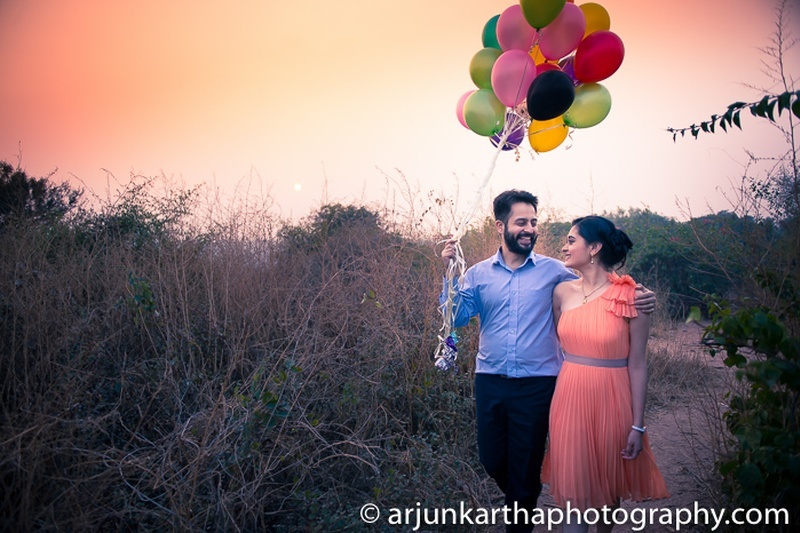 Colourful balloons and vivid attires set against sun as their backdrop, added up to be one of the best pre-wedding photoshoots we’ve seen! 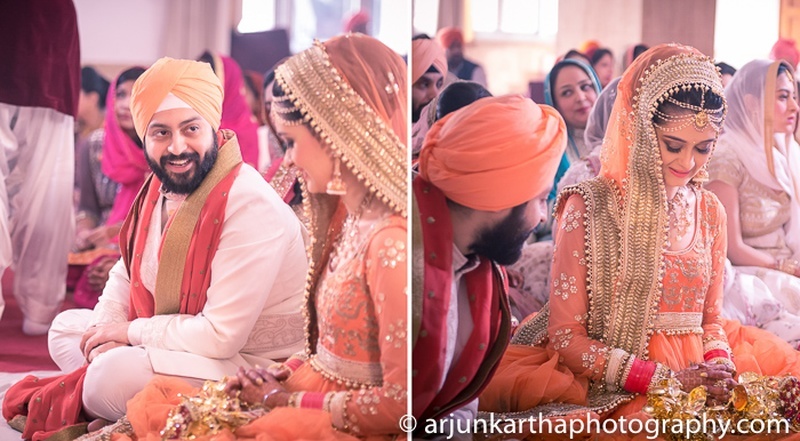 The dreamy-love vibe continued at their homely haldi-mehendi ceremony while the Sangeet bought on their wild dancer avatars (well, at least Angad’s face says so). 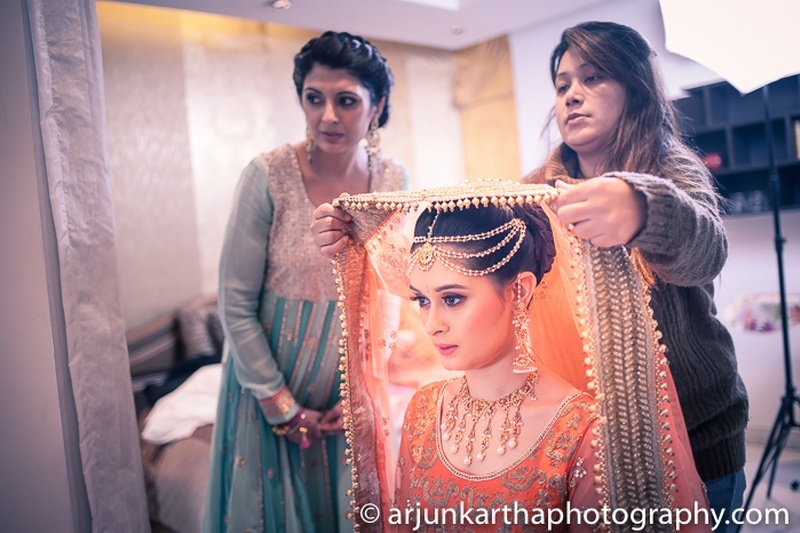 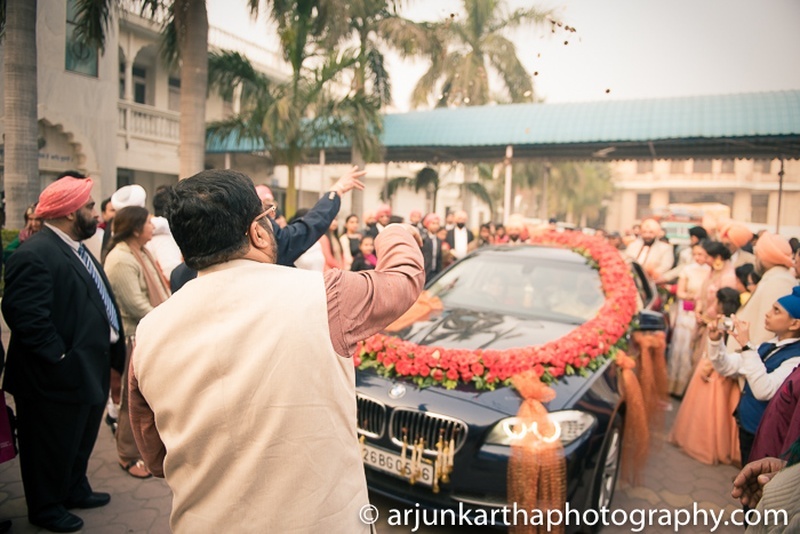 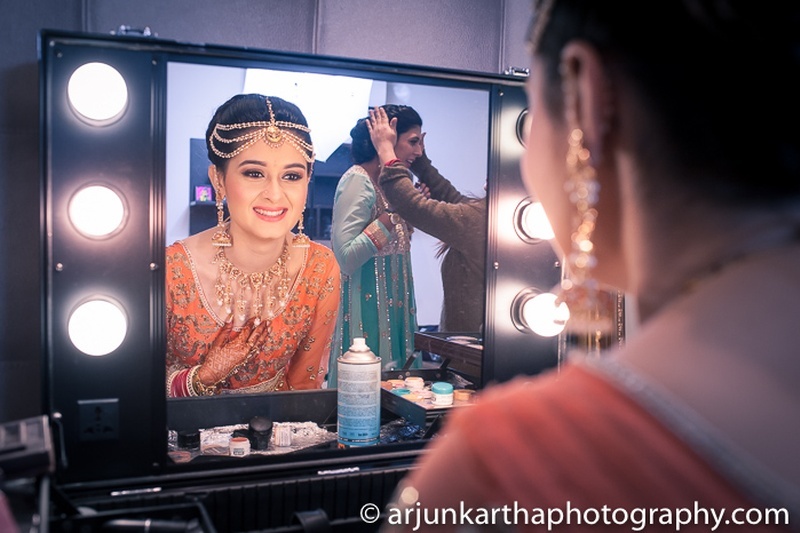 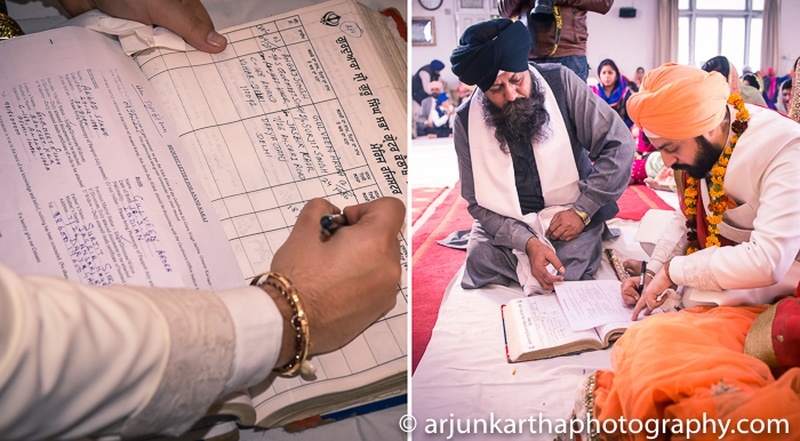 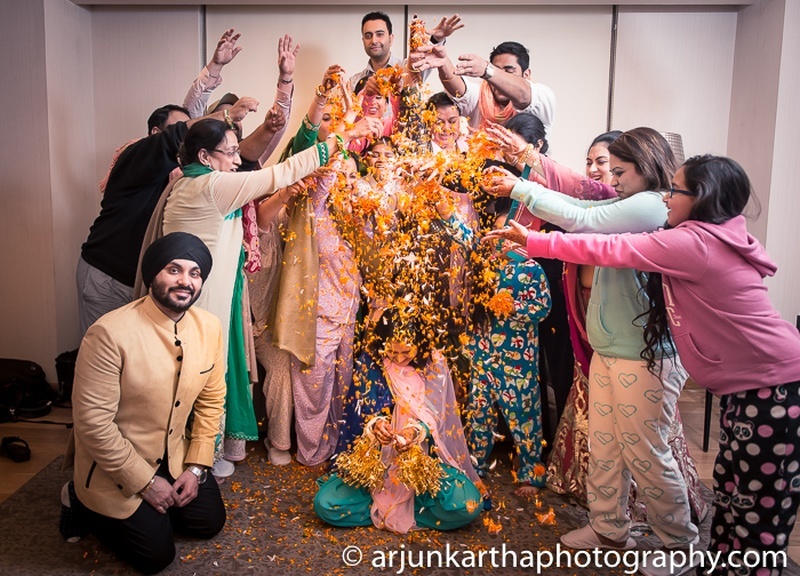 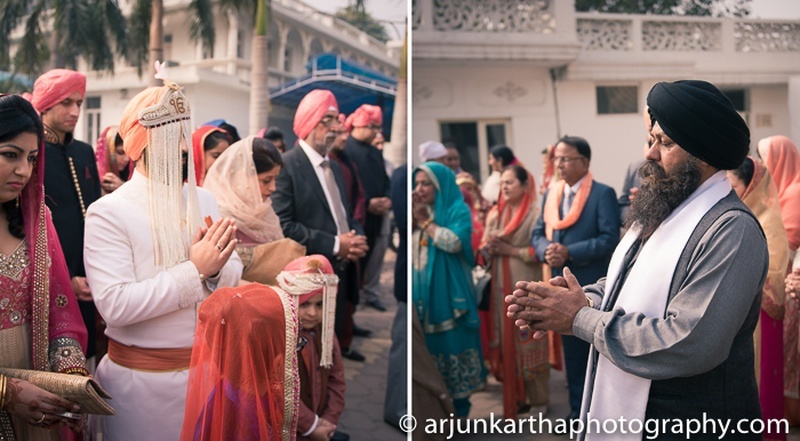 Their intimate Gurudwara wedding was a serene, elegance-filled affair. 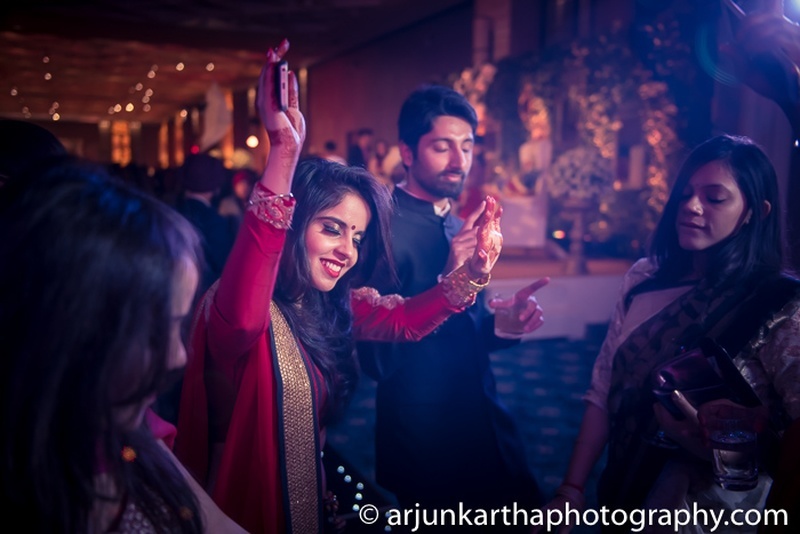 Dressed in a coral full-sleeved anarkali embellished with gota patti work all over, Gulveen looked like a true Punjabi beauty. 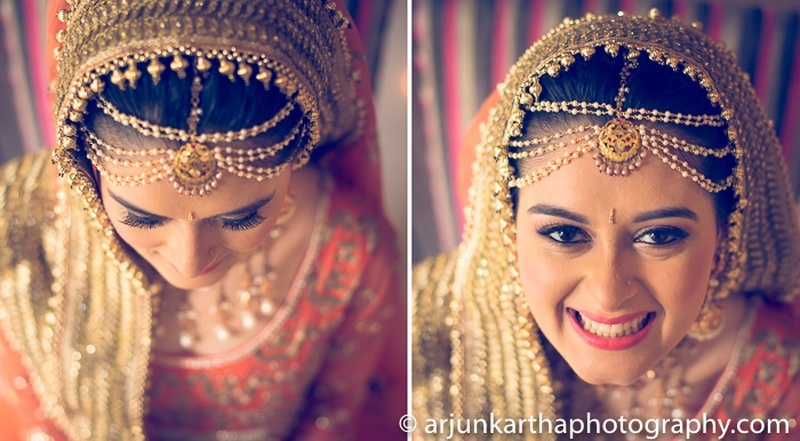 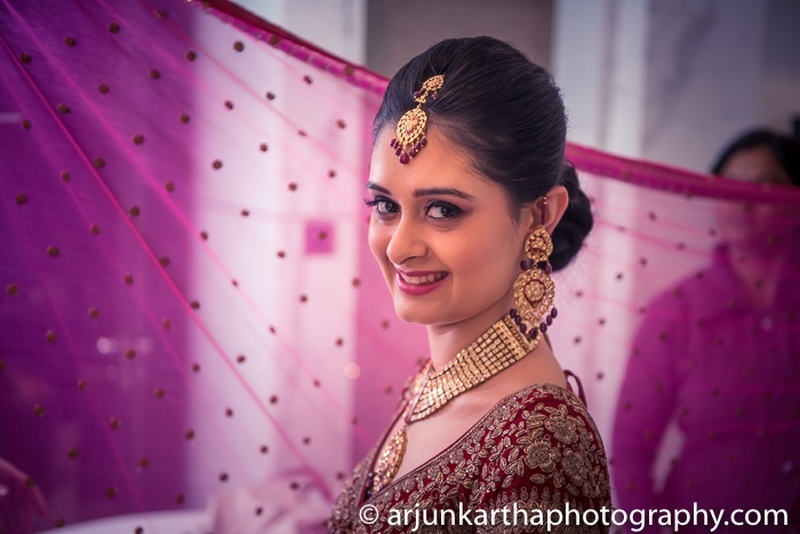 Especially her all gold and pearl jewellery that added the perfect finishing touch to her entire ensemble. 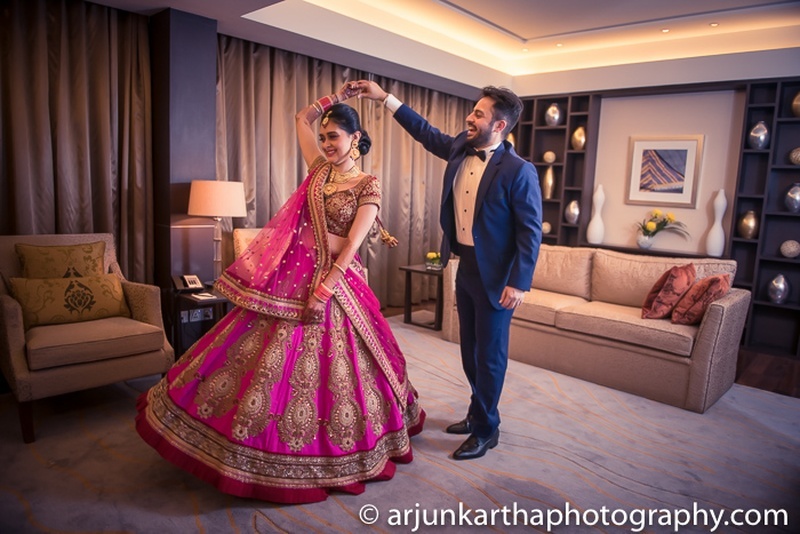 Following this, the naach-gaana continued at their reception for which the gorgeous bride donned a pink wedding lehenga with stunningly embroidered motifs and delicate crystal and sequins embellishments. 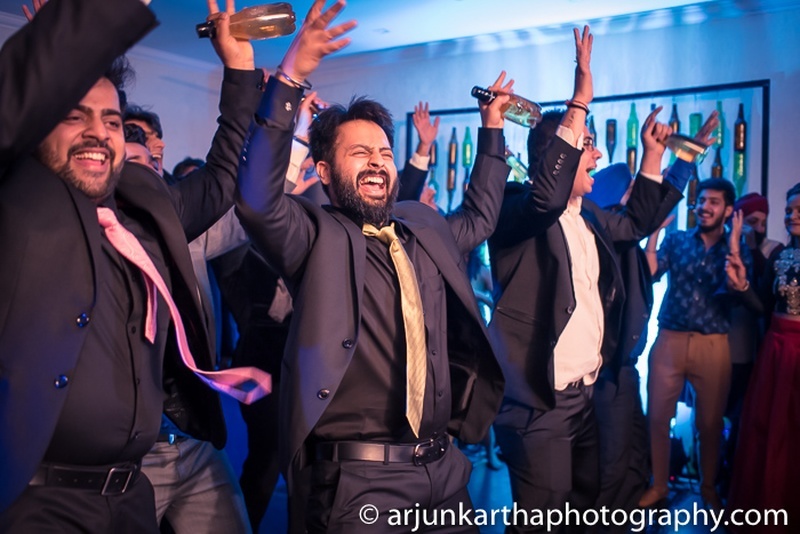 Angad kept it classic in a carbon black tux and bow-tie – Boys, remember you can never go wrong with a crisp black tux. 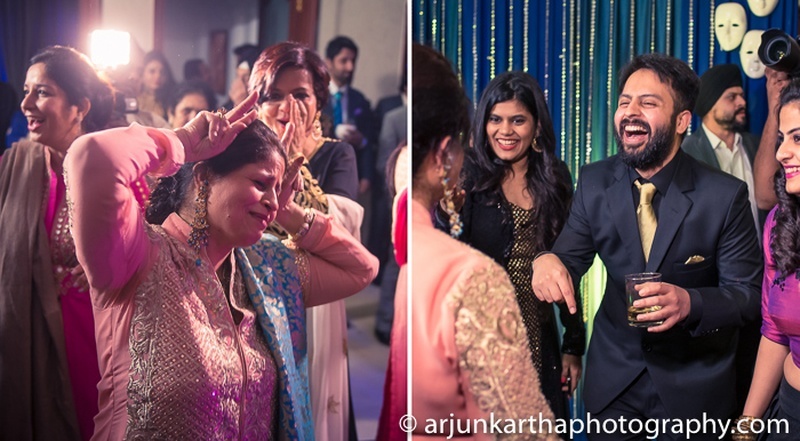 All in all, this wedding was one where the food was good, the family was ecstatic and the love, overflowing! 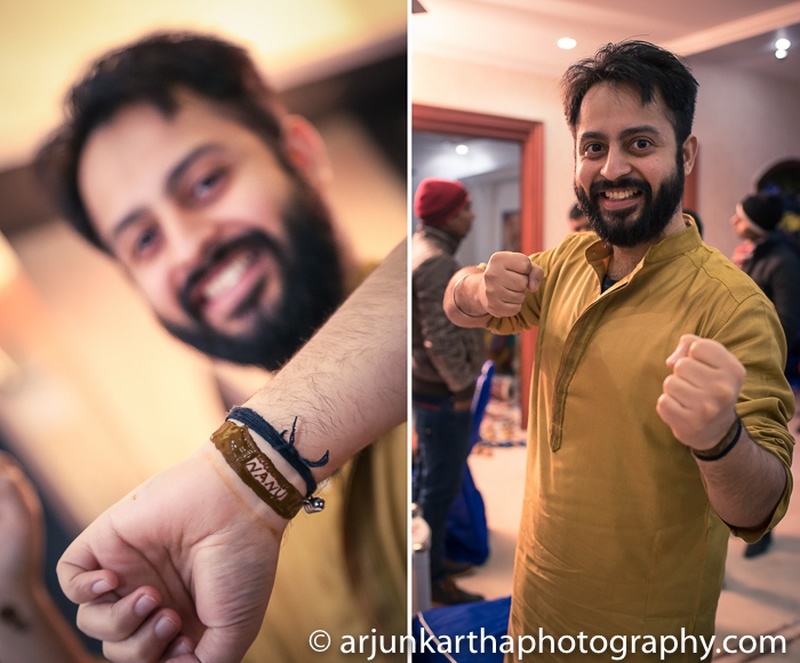 Posing as Gandhiji's famous three monkeys.